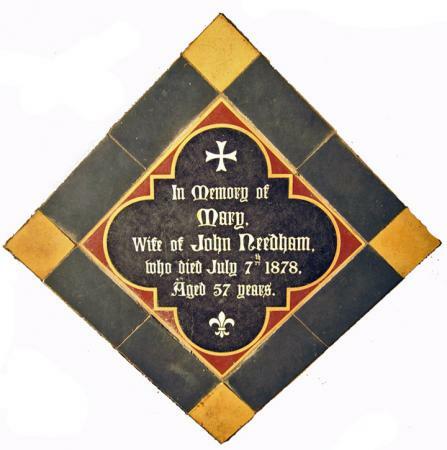 Mary Brewin married her John Needham in 1840, while still a teenager. The couple had at least six sons and one daughter, bringing them up in their Town Green house, where John worked his stocking frame. Mary was laid to rest in the churchyard on 9 July 1878, John following two years later in 1880. This tile must have been commissioned by one of their children in the general 1897 campaign.